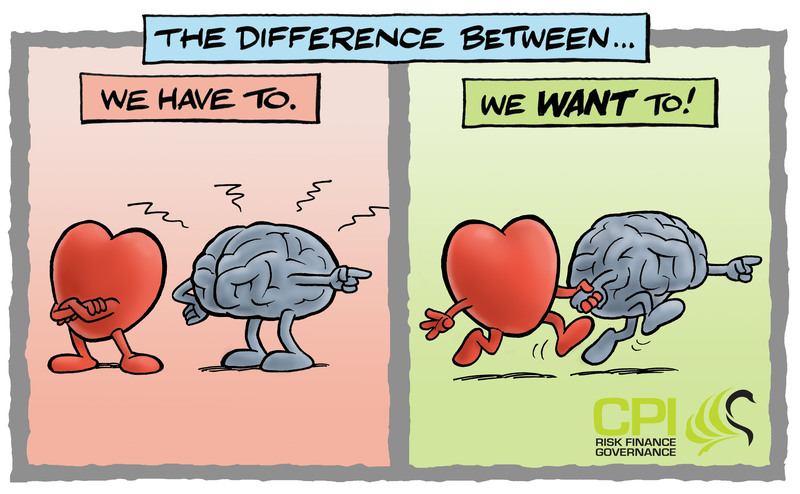 Hearts & Minds™ is a philosophy, methodology and toolkit to promote the understanding and development of personal motivation of people in the organisation: from ‘we have to’ towards ‘we want to’. A complete approach with tools, plans of approach and experienced facilitators. CPI has further developed Hearts & Minds™ for key strategic areas, such as Governance, Integrity, Risk & Compliance and (digital) Transformations. 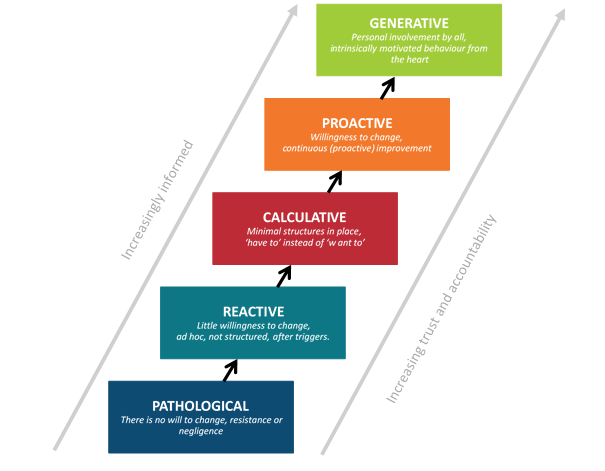 The approach includes tools, implementation scenario’s and experienced facilitators to clear the way for mature behaviour. *Based on 20+ years of behaviour research by the universities of Manchester, Aberdeen and Leiden. I Understand, I Accept and I Want! Extensive Hearts & Minds™ research shows that context has a fundamental influence on how people behave. 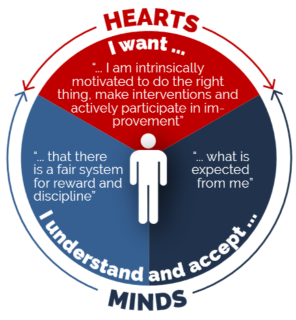 CPI’s Hearts & Minds™ approach is a great opportunity to leverage the intrinsic motivation and quality of people. 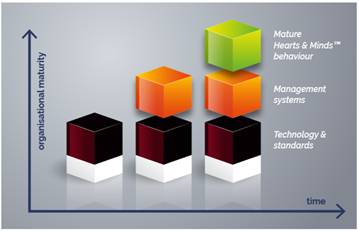 Winning both their hearts and minds, leading to outstanding organisational performance. Availability and quality of training, policies/procedures. Curious for more information about Hearts & Minds™? Contact Simone Heidema, Peter Koppenol or Jeannette Franken.